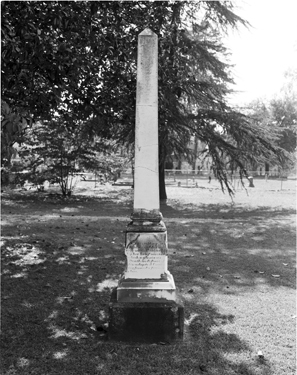 This shaft was erected to commemorate the life and death of Marcus Baum, born in Schwersenz, Prussia, on the 7th day of March, 1833. The sterling qualities of his nature were illustrated by his brief career, to which a glorious death in defense of his adopted country formed a fitting close. 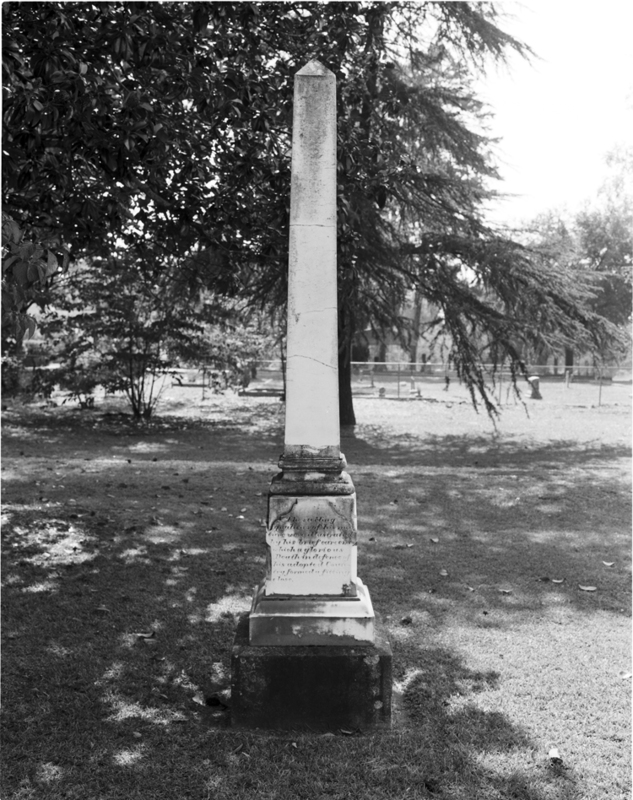 In the Battle of the Wilderness on the 6th of May 1864 he fell at the side of his beloved chief, Gen. J. B. Kershaw, a martyr to the “Lost Cause.” His bones now mingle with the dust upon that field of honor but his memory is enshrined in the hearts of those who esteem it a privilege to erect this humble memento.